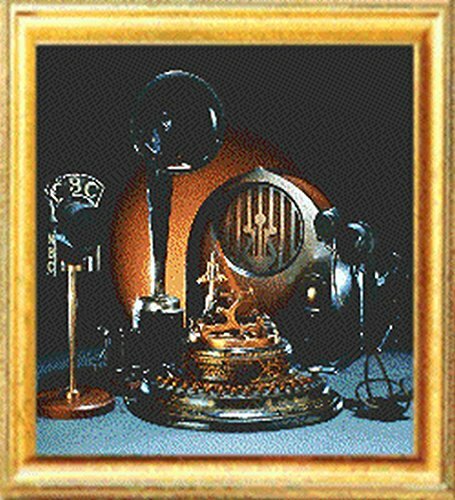 Old Time Radio - Our personal selection of over 100 All Time Favorites from OTR Western Radio and Super Hero Programs. Listen to programs such as - GUNSMOKE - HAVE GUN WILL TRAVEL - THE LONE RANGER - SARGENT PRESTON - THE SIX SHOOTER - - - PLUS SUPER HEROS SUCH AS: BATMAN - ATOM MAN - THE FALCON - THE GREEN HORNET - SUPERMAN - AND MORE - Selections across the spectrum of time. Classic shows from the era of Radio in the 40's to late 50's. This CD contains over 100ea - 30 minute radio programs In the 40's to 50's, 99% of radio programs were 30 minutes. So this product contains over 100 complete broadcasts, many including all the old timey commercials!. Over 50 hours! All Programs are in MP3 Format and the CD also contains a free MP3 Player that can be used on your Windows 95/98/ME/XP/Win7/8 Computer. Please Note: MP3's will not play on a "Standard CD Player" unless it is compatible with MP3 Files. ALL programs are in MP3 format. While you can play these files directly from the CD on your computer, you "must have" a computer to transfer the files on our CD's to a MP3 player. (Or) use a CD Player that supports MP3 to play these programs. Many newer Automobile play MP3's or offer an after market CD unit that supports MP3 (and) regular CD audio - so check the features on your device before ordering.